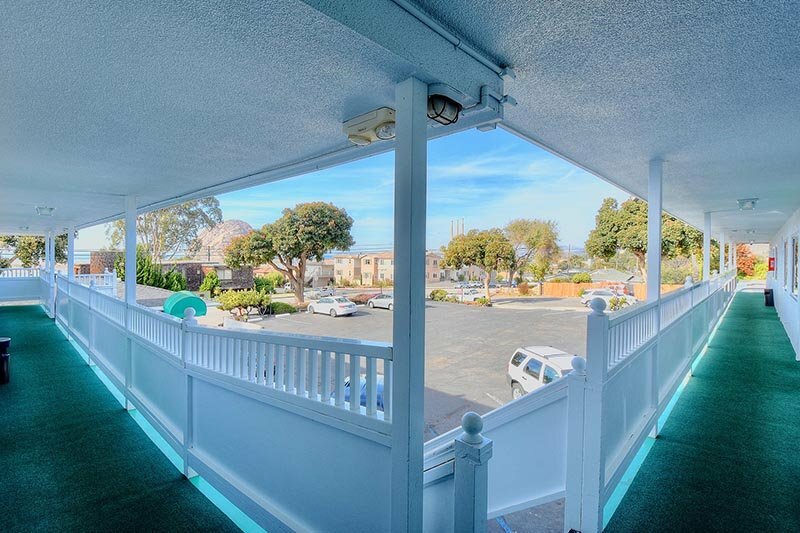 The Morro Bay Sandpiper Inn provides both CLEAN and AFFORDABLE lodging and accommodations in the beautiful city of Morro Bay in San Luis Obispo County, California. Our weather is delightful as we are located on the coast and a quick WALKABLE distance to the Bay. The endlessly-blue sky simply extends into eternity, with fluffy clouds and delicious air coming up off the Bay, making it a relaxing place to stay for your next weekend getaway or vacation. VIEWS of the ocean, the Bay, and the Morro Rock are sure to spark your imagination. Be lullaby-ed to sleep with the gentle sounds of the waves or awaken to the sounds of seals barking on the beach. The Morro Bay State Park, Morro Bay Golf Course, and Morro Bay Museum are a less than a mile away, making our inn a central location to visit many attractions within walking distance. Enjoy a relaxing nature hike, walk along the beach looking for sea shells, or grab a fishing pole to find your next catch. Rent a boat or kayak to explore the ocean and the bay. Your convenience and comfort are important to us at the Morro Bay Sandpiper. 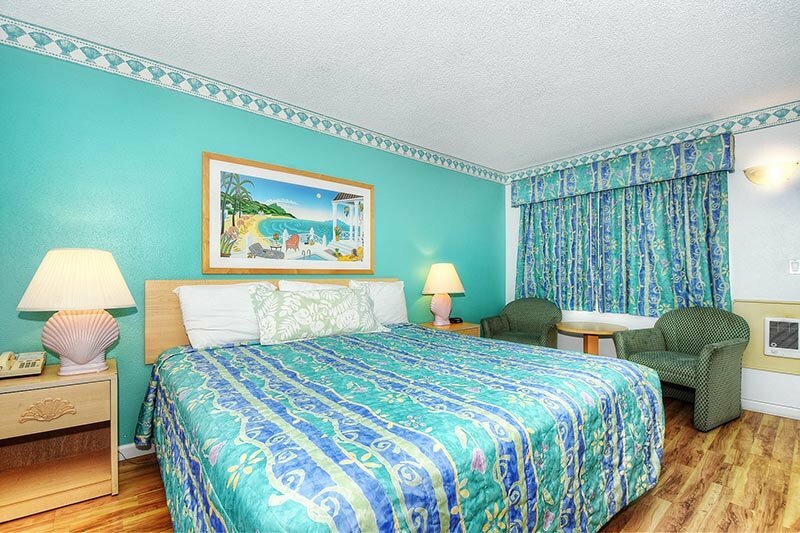 Come enjoy the QUIET downtown location with ocean views and delightful décor of the detailed, clean rooms. The serenity of our soft, comfortable beds with relaxing aqua green floral motifs are sure to help you feel relaxed and rejuvenated. Request a pet-friendly room so you can bring your furry family member. Most of our rooms have ocean and bay views. View our Specials page for great deals and discounts. BOOK DIRECT to ensure the best possible price. Contact us for more information on free merchant's discounts or coupons. 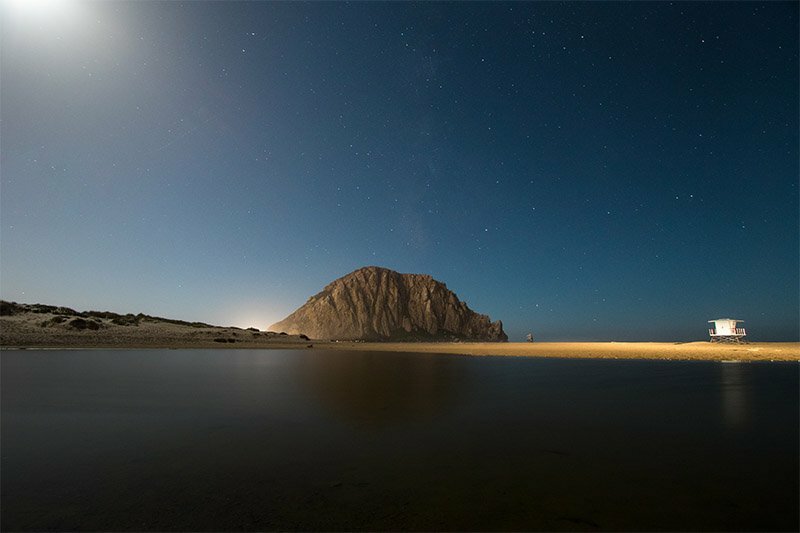 There are so many things to do in the Morro Bay area that there is sure to be something for everyone. Enjoy fishing, whale watching, nature walks, hiking, bird watching, kayaking boat tours, and other water activities. Whether you are a tourist or a local, we will be your guide to all the hot spots for your vacation.